Car shopping in Albany has changed dramatically in recent years, and yet there are dealers who seemed stuck in a time warp. One dealer, who claims to be among the first in the area, had such an awful set up that I was ready to give up on replacing my beloved Suburban altogether. But I won’t dwell on the negative; instead, I would like to highlight some of the very positive experiences that I encountered in my quest to find a fuel-efficient family travel car for adventurous road trips. 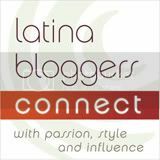 My car shopping odyssey began unexpectedly, when my nearly 10-year-old Chevy Suburban ceased and desisted. Because it wasn’t planned, I didn’t have the luxury of contemplating the purchase over months. I was stuck at home without a car, unable to drive the kids to school and extracurricular activities. 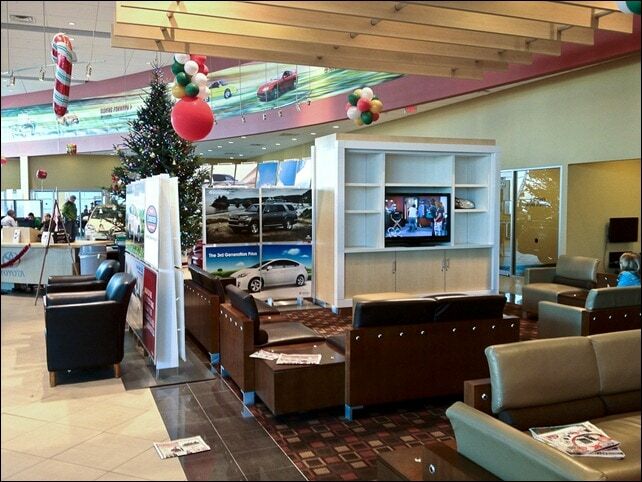 And I was dependent on the kindness of friends to visit car dealerships. 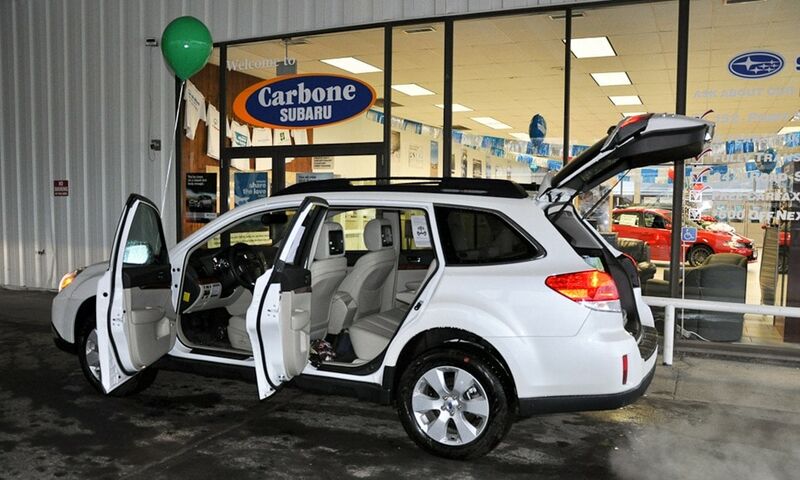 I started at Carbone Subaru of Troy because it had replaced the dealership where I purchased the Suburban in 2003, Action Chevrolet. When I called the dealership to enquire about repairs to my Suburban, only to be told that I could expect delays since they were a completely different dealership from the previous business at that location, it was a relief to discover that one of Subaru salespersons would be willing to pick me up at my home for a test drive. I drove a Subaru Forester from their shop on Hoosick street over winding dirt roads to Dyken Pond, and back. Now that’s a test drive! The sales consultant was a good sport, but I doubt that he’s accustomed to driving into our forests – his questions about local bears gave him away as a city boy. As much as I appreciated his outstanding effort, the Forester wasn’t for me mostly because it lacked an arm rest, which I find to be a necessity on long drives. 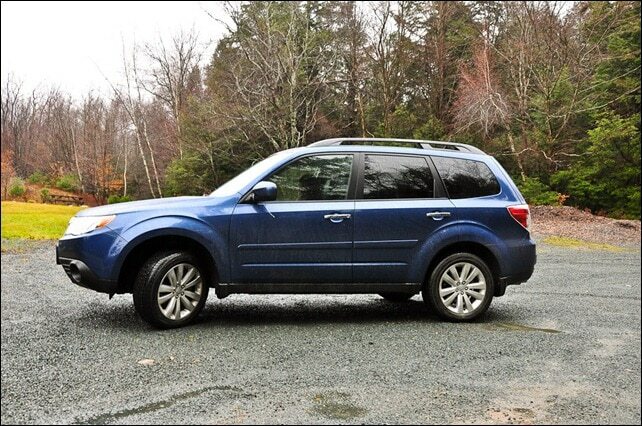 The other option – a Subaru Outback – was a better fit, fulfilling most items on my car wish list. It remained on my final list right up to the end. There’s a special place in my heart for Toyota vehicles; our first family car was a Toyota 4Runner, and my husband is now driving his second Toyota Rav4. I seriously considered getting one for myself, but I ran into the same problem that I had with the Subaru Forester – no armrest for my right arm. The Rav4 also wasn’t as roomy as my other options, and it didn’t have the same luxuries – at the same price point. 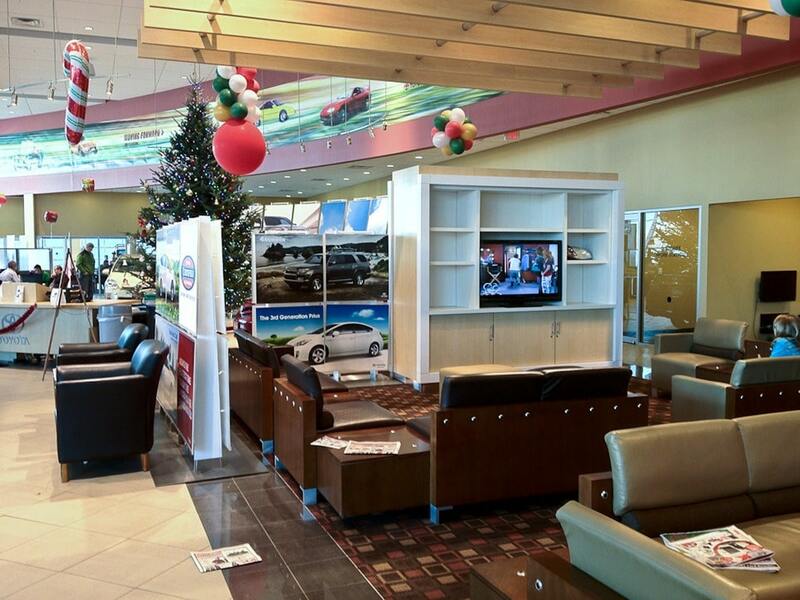 But what did impress me was the extremely nice sales consultant at Lia Toyota, and the lovely showroom space. And if I ever have to rent a car in the Capital Region, I would seriously consider their competitive car rental fees for just about any car in the Toyota line. I was tempted, oh so tempted, to just repair my beloved Suburban. It’s a great vehicle, and I’m sure I could have kept on driving it until at least 300,000 miles. If I had gone with that choice, I couldn’t do better than to repair and maintain it at DePaula Chevrolet. 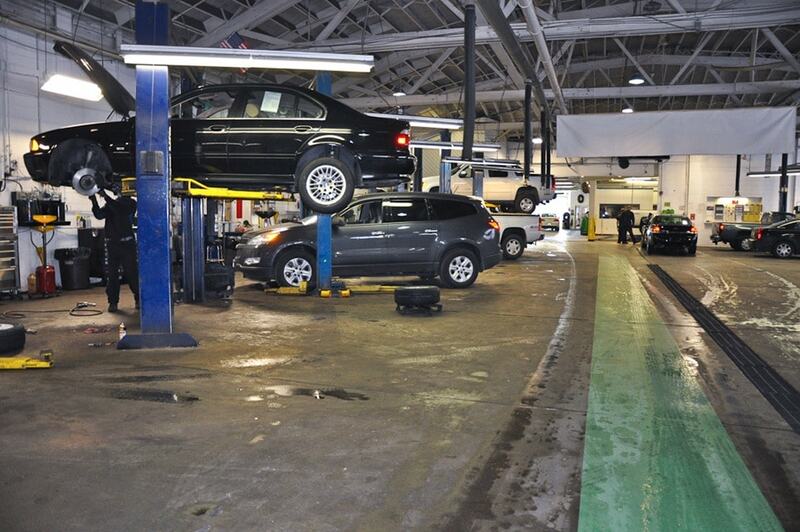 As part of the car shopping experience, prospective buyers are taken on a tour of the facilities – all of it, including the car repair and maintenance floors. 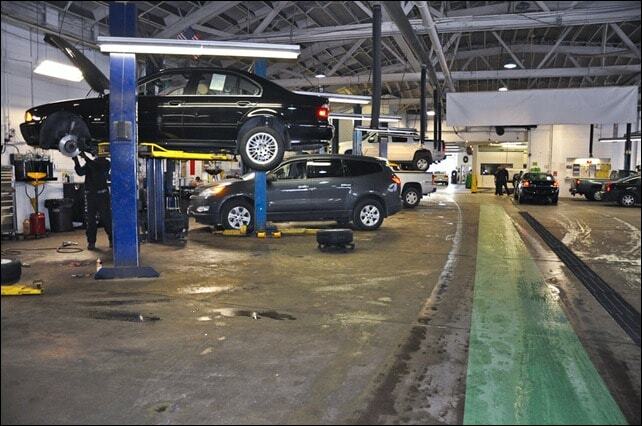 These are state of the art facilities, with world class certified master technicians. And the cars aren’t bad either. For a moment, I seriously considered replacing the Suburban with the Chevy Equinox. But again, it came down to fuel economy – and price. It was almost an afterthought to drop in on Rensselaer Honda to check out the brand new 2012 Honda CR-V. Only just available to test drive that day, we literally dropped in on our way to sign the contract for the 2011 Subaru Outback next door. 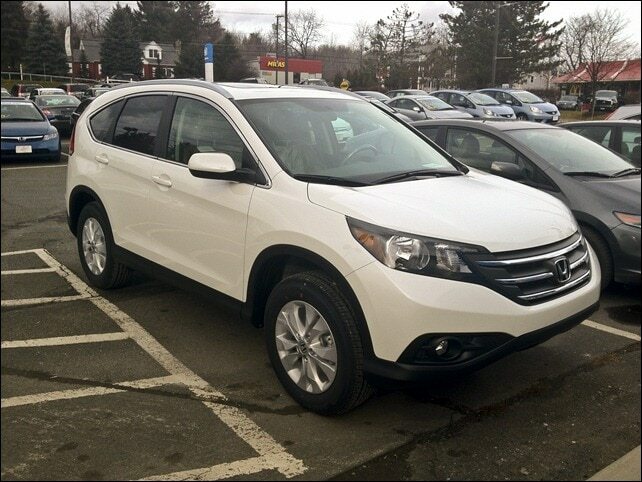 We had looked at the Honda CR-V at another dealership in Albany, but the shop was closed when we stopped in. And, anyway, we preferred this dealership because several friends raved about how well they had been treated at Rensselaer Honda. The dealership lived up to the ardent praise. We were seen promptly, all our questions were answered patiently, and multiple sales consultants and managers made it their business to make sure that our needs were met. Within a few short hours, we drove away with a brand new car and absolutely no regrets. While trust plays a big role in selecting a car dealership, the final decision came down to choosing the right car for us. Living in snow country, our family car had to have all wheel drive just to get up the driveway, let alone tackling ski mountains. It had to be big enough to haul the kids and their gear on cross-country road trips. And it had to be fuel efficient to keep fill-ups reasonable. Moreover, I’m at a stage of my life where I like a little luxury: heated seats, cup holders, iPhone integration, and the armrest. The 2012 Honda CR-V has all of that, and more: command central information display and navigation (with external thermometer gauge,) voice controls, heated mirrors, functional interior, leather seats, easy switching seat/cargo space, moon roof, and Eco-Assist which gets 23 city/31 highway mpg. And that was the clincher. 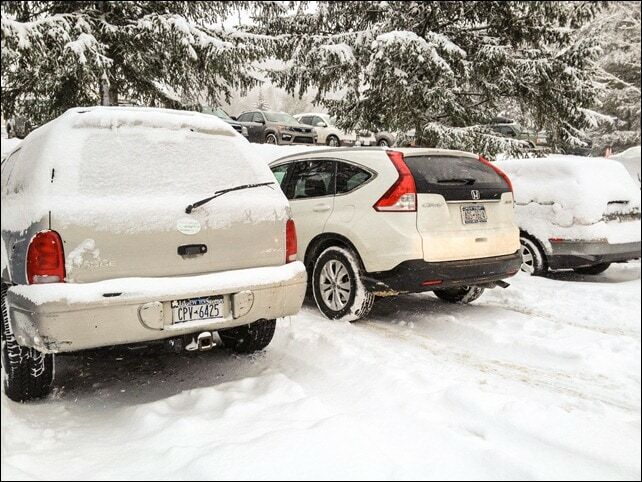 The CR-V gets the best fuel economy out of any car in its class. All the rest was just gravy. I would have loved to see the look on your sales consultants face when you took off into the forest with him on your test drive. Oh, it was priceless! We ended up having a long conversation about exactly what kinds of bears live in these woods – which didn’t reassure him at all. Go figure. And thanks, yes, I am enjoying my new sweetie, the CR-V was exactly what I was looking for. Best of all, even with rising fuel prices, I feel like I’m getting a deal at the pump every time.